STM Associates has been a great company to work with. 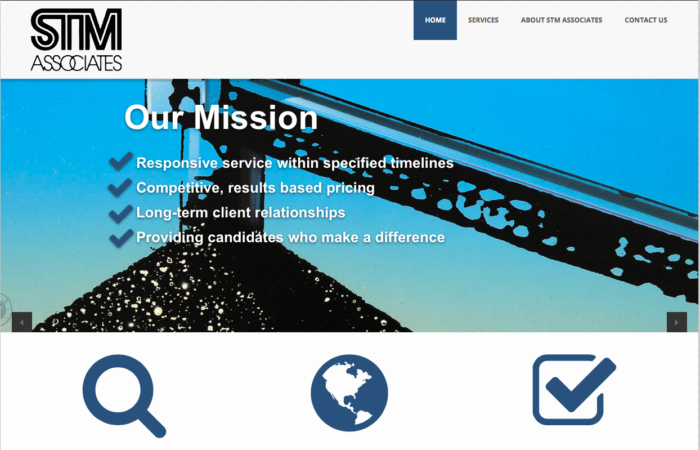 Their corporate site was in need of an overhaul that truly reflected this elite company. STM had been burned by several developers and agencies over the years and they were extremely thorough in their vetting out process. Finally when they felt comfortable moving forward we knocked this project out of the park for them and proved why the NuEthic promise is different from so many other web companies.